Picturing Disney: Finding Nemo Squirt Cupcake Recipe! A few years ago, a friend sent me a link to the DisneyFamily.com Squirt cupcakes. I thought they were so cute that I had to make my own. I made some changes and I think my turtles may be just a liiiiitle cuter than the originals! You can judge for yourself by checking out the original recipe and giving mine a try as well! 2. While you are waiting for your cupcakes to cool I suggest a trial run of the little turtles! It may be easier to do this by looking at pictures than reading my descriptions. Head: Trim about 1/4 inch off the bottom of a green gum drop. Squish the newly chopped sticky sides together so you can form into a round ball for the head. It takes a little working and rolling around but you will get the hang of it! Then take your skewer and poke holes where you want the eyes to go. Put a little dot of frosting on the end of a mini morsel and insert into the eye holes. For a more googly-eyed look, try attaching Wilton candy eyes! Set entire head near the shell on your cupcake. Legs: For each turtle’s 4 legs you will need one spearmint leaf. Slice your leaf into two, horizontally so that you now have 2 leaves. Cut a half oval out of each leaf. 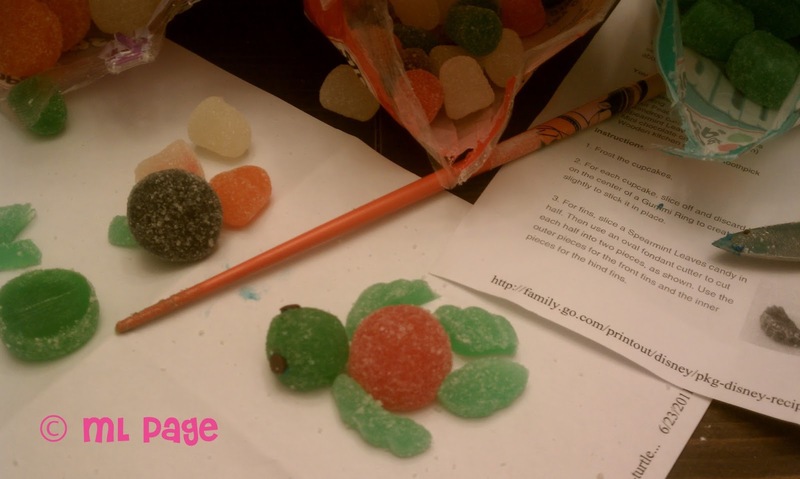 The ovals will be your back legs, place them sugary side up where the turtle's legs should be. Repeat with the remaining pieces of spearmint leaf for front legs. 3. Frost your cupcakes. You can use plain vanilla frosting, or kick it up a notch and use blue! I used blue crystal sprinkles to make my sea of frosting. 4. Add your little turtles atop of the frosting. 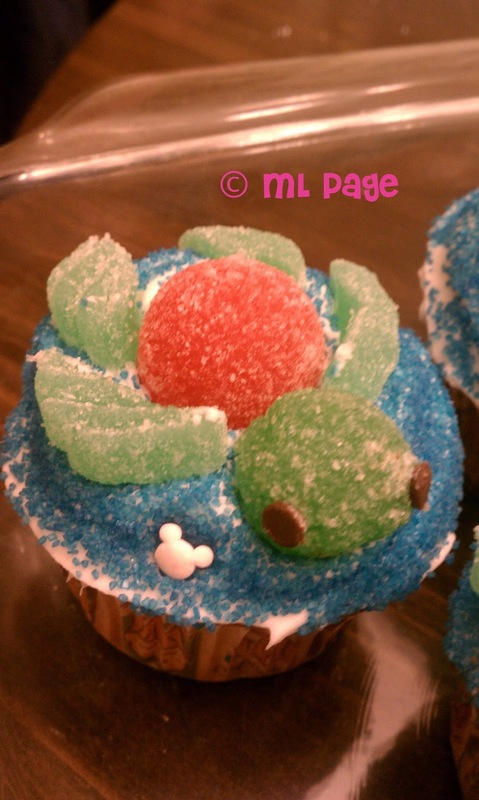 If you liked this recipe please check out our version of the crab cupcakes and other undersea themed goodies in our Mermaid Baby Shower post!